John Malkovich brings ‘Infernal Comedy’ to Málaga | Marbella Marbella – Adelante! The Cajamar Foundation presents American actor and director John Malkovich with his work The Infernal Comedy, which he terms a lyrical concert, on May 23rd in Málaga. The show, which includes samples from composers of all musical periods, was inspired by real-life Austrian Jack Unterweger, a convicted murderer and acclaimed poet who, after being forgiven, became a famous writer and journalist. 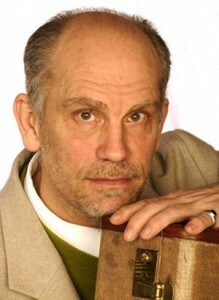 Malkovich directs and performs as narrator, with Michael Sturminger writing, Martin Haselböck directing the music, and Birgit Hutter, costume design. The Wiener Akademie orchestra, with sopranos Bernarda Bobro and Marie Arnet, perform pieces by Vivaldi, Beethoven, Haydn, Mozart, Bocherini, Weber and Gluck. Tickets can be purchased at the box office of Teatro Cervantes and Teatro Echegaray, or phone +34 902 360 295. Tickets are priced at 25, 45, 60 and 80 euros. Cajamar Foundation is celebrating the second year of the ‘Concerts Cajamar’ series, a musical project that will tour nine Spanish cities presenting the best artists, orchestras and musical groups.